In his debut documentary, Chicago talk show host, Garrard McClendon, tells the story of his parents being murdered just before he goes on-air. After celebrating their 54th wedding anniversary, Wayman and Ruby McClendon, were killed during a home invasion by two teenaged gang members. Garrard, his brothers, Duane and Theodore, and the community were devastated by the event and promised to make positive change through forgiveness. His film endeavors to walk viewers through that process. 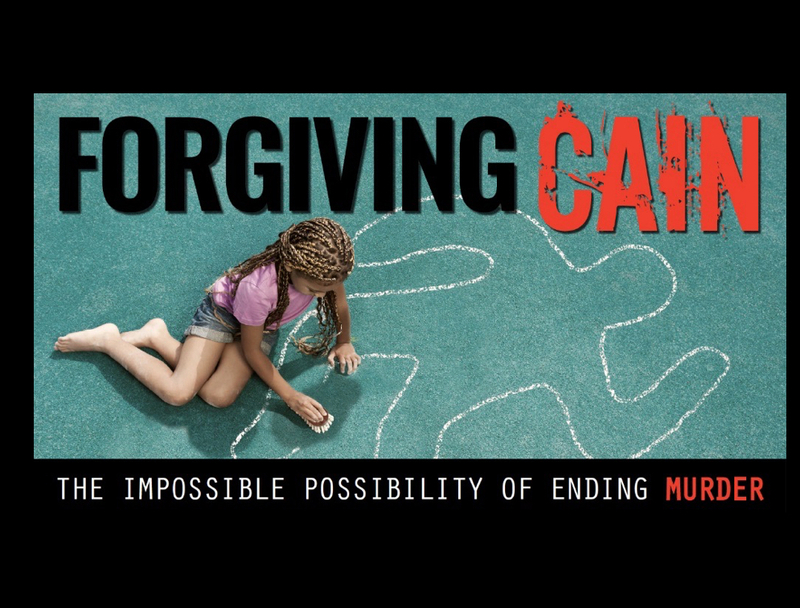 Forgiving Cain is a personal documentary, highlighting the forgiveness of murder. We recently spoke with Garrard to talk about the origins of this film and to get his thoughts about the on-going process. Tell us about the premise of your film. The premise of the film is how to forgive a murderer. But there are underlying themes that lead to the forgiving. The film explores ease of obtaining guns, homicide stats, lackadaisical parenting, and how my parents were disrespected, violated, robbed, and killed by two newly gang-initiated teenagers. The film evolved from my anger, pain, and willingness to forgive. I wanted other families to have the opportunity to share their feelings and we interviewed twenty-two families who lost a loved one to gun violence. Many of the families contributed to my own healing through these interviews. As a talk show host, I reported on homicide several times a week. But I never thought that murder would come this close to me. I found out that my parents were murdered just before I went on-air on my TV show at WGN in Chicago. The documentary was born from this tragedy. What preconceived notions about the filmmaking process did you have going in? And, how have they played out? Forgiving Cain is my first documentary. I have done smaller concept films. I thought my filming ratios would be small, but a narrative documentary needs a lot of visual elements to tell the story effectively. I also thought it would be easy to obtain interviews from victims’ families. With careful letter writing, phone calls and emails, more and more people granted interviews for the film. The element of surprise is the biggest factor in documentary film. I had to learn to keep audio and cameras rolling at all times. Facial expressions, sighs, silence, and burst of emotion are unpredictable and I quickly became a student of the power of documentary. What has been most challenging and most rewarding about this process? The largest challenges have been the grind of shooting and fundraising at the same time. Filmmakers Collaborative has soothed my fears and anxiety by being supportive and responsive to my whims. The staff goes above what others have been willing to give. Are there non-fiction films or filmmakers that have inspired you? If so, who and why? Strong Island by Yance Ford. The narrative and script were superb. The pain of the family’s loss is eloquently told in visuals, words, and concept. The information that Yance Ford didn’t get from prosecutors was just as compelling as what she obtained. Also, King Gimp by Dan Keplinger, Susan Hannah Hadary, and William Whiteford. The twist is at the end. I show this film in my class every year and the tears just flow. The human spirit and bold character of Dan Keplinger is explicit and we get to witness several days in the life of a person who has challenges with cerebral palsy. How did you become familiar with Filmmakers Collaborative and what role, so far, has the organization played in the making of your film? I was intrigued and impressed by the work of Tracy Heather Strain. Her documentaries are thoughtful and piercing. Before joining Filmmakers Collaborative, I had a long conversation with Tracy and she gave me excellent advice on raising funds for films. She was a champion about encouraging me to call FC and to strongly consider them being our fiscal sponsor. This has been a great decision for me and our fundraising endeavors. When donors see a film that relates to them as well as the opportunity to give to a 501(c)(3), they become even more excited. Filmmakers Collaborative has allowed us to create a fundraising community and a rally around a film that means a great deal to those wanting to end violence. I will use Filmmakers Collaborative and will recommend services to other filmmakers.